Google reported Tuesday an alleged attack on its corporate infrastructure last month originating in China. WASHINGTON (CNN) -- Google said Tuesday the company and at least 20 others were victims of a "highly sophisticated and targeted attack" originating in China in mid-December, evidently to gain access to the e-mail accounts of Chinese human rights activists. "Based on our investigation to date we believe their attack did not achieve that objective," according to a statement by David Drummond, senior vice president of corporate development and chief legal officer for Google, operator of the most popular Internet search engine. Drummond said that as a result of the attacks, Google has decided it is no longer willing to consider censorship of its Google site in China and may have to shut down its site and its offices in that nation. Do you think Google should leave China? "These attacks and the surveillance they have uncovered -- combined with the attempts over the past year to further limit free speech on the Web -- have led us to conclude that we should review the feasibility of our business operations in China," Drummond wrote. "We have decided we are no longer willing to continue censoring our results on Google.cn, and so over the next few weeks we will be discussing with the Chinese government the basis on which we could operate an unfiltered search engine within the law, if at all. 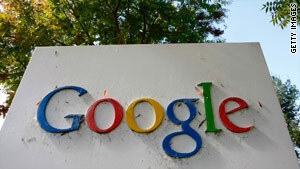 A Google spokesman said the targeted human rights activists were in the United States, Europe and China. Efforts by CNN to reach the Chinese Embassy in Washington Tuesday evening were not successful. Google, perhaps best known for its search engine, also provides other computer services, including e-mail, online mapping and social networking.